I created this recipe in 2013 using Italia Roast Via, but once I got my hands on this years Christmas blend, I knew I wanted to re-create it. I love coffee cocktails, my favorite being a black russian, so making a homemade kahlúa was an obvious choice. I also use kahlúa in quite a bit of my dessert recipes, so it has become a staple in my kitchen. Bottles of homemade kahlúa also make a great hostess gift! One of the reasons I like making my own liqueurs is that I know exactly what goes in it. You aren’t going to get a high quality end result if you don’t start with high quality ingredients. That is why the coffee and the vodka selection is so important. My favorite vodka is Reyka, so I always use that. 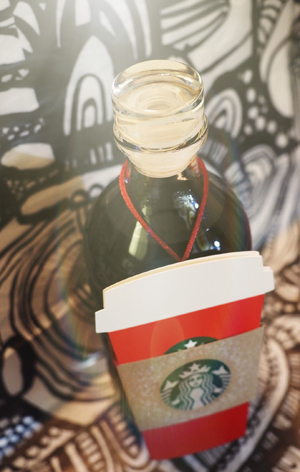 What makes Christmas blend via so special? 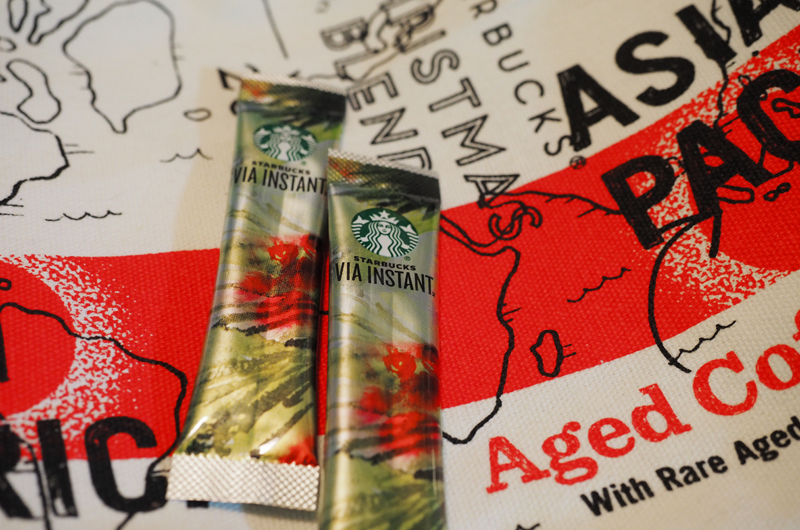 Christmas blend is a blend of Latin American and Asia Pacific beans, including aged Sumatra. 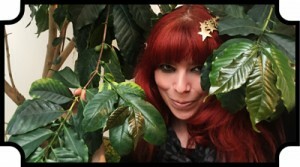 These rare beans bring a sweet spicy note to the coffee. This years blend of Christmas blend is actually my favorite of all time. It’s dark, it’s sweet, it’s spicy. This is the coffee I wait for all year long! These photos are from my first experiment using Via to make kahlúa, I think this was in 2012. 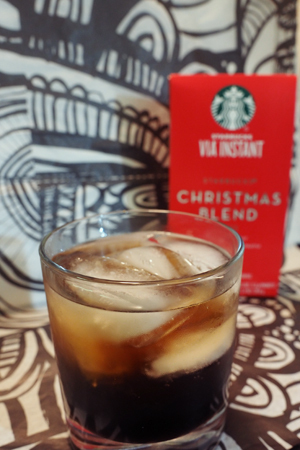 Italian Roast or Christmas blend, both make a stellar kahlúa, and amazing cocktails! Boil water, coffee and sugar. Just as it boils, turn down heat to medium low and simmer for 2 hours (stirring occassionally). After two hours, you should have a syrup that coats the back of your spoon. all bottled up and ready to give! 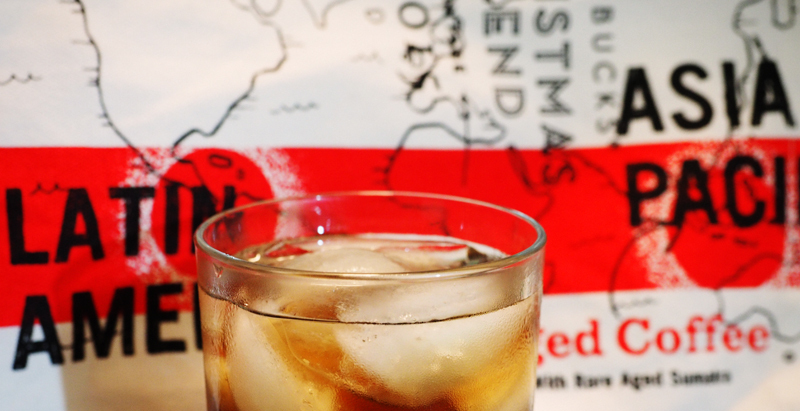 The black Russian is a bar staple, but it is also a blank canvas. Want to add a different flavor profile? Add different ingredients! White Russian, same as the black russian, but topped off with a splash of heavy cream. Want even more of a coffee kick? 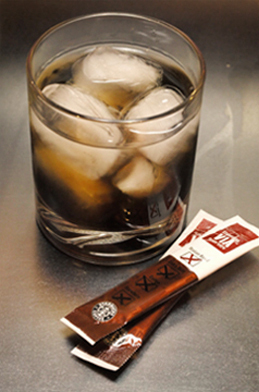 Substitute vodka with espresso flavored vodka. To highlight the Latin American flavors in the coffee, add a splash of Frangelico for a hint of nuttiness. What are your favorite variations of this classic cocktail? let me know in the comments!